The long wait is finally over! Grown Ups in Spandex, or GUIS, have finally released the subbed version of Ultraman Zero the Movie: The Revenge of Belial (ウルトラマンゼロ THE MOVIE 超決戦！ベリアル銀河帝国, Ultraman Zero the Movie: Super Decisive Battle! Belial's Galactic Empire)! 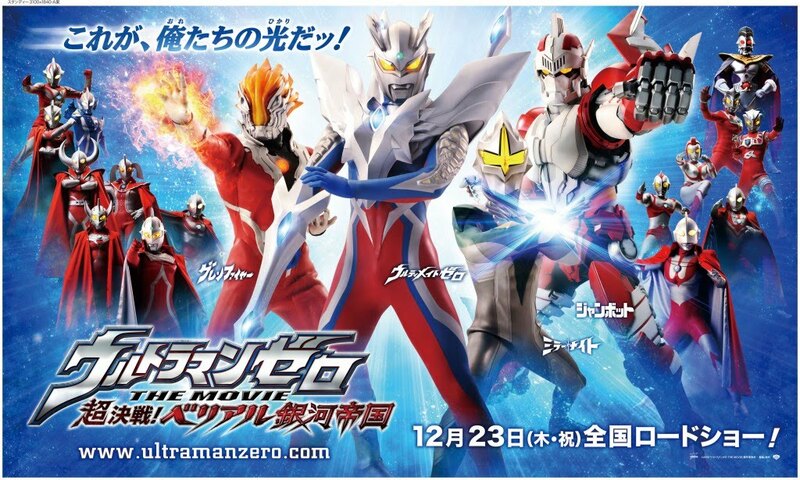 In Ultraman Zero Movie, Ran (Yu Koyanagi), the human host of Ultraman Zero, is in a quest to the farthest galaxy to help Princess Emerana (Tao Tsuchiya) of Planet Esmeralda. With the help of GlenFire, Mirror Knight and Jean-Bot, will they be able defeat Kaiser Belial's Galactic Empire and bring peace to the whole galaxy?